They lay there on a small saucer – five bright yellow capsules, a big white tablet and a brown capsule. And with one brave last gulp Phumeza Tisile, aged 23 years, put an end to her daily ritual of the last two years and swallowed the last of the 20,000 pills she had taken to cure one of the most severe forms of drug-resistant TB: extensively drug-resistant TB (XDR-TB). When it was done she cried tears of joy. Phumeza has beaten XDR-TB against all odds after an arduous two years of treatment. The disease has a less than 20% chance of cure, but because getting a proper diagnosis took so long, her chances of survival were even less to begin with. Before being treated by MSF, an accurate diagnosis of Phumeza’s XDR-TB was delayed due to the lengthy process required to confirm XDR-TB infection using available diagnostic tests in the public sector. This meant Phumeza received ineffective treatment for drug-sensitive TB through state care before learning she had XDR-TB. In addition she also suffered serious side effects that affect many people on DR-TB treatment, including permanent deafness. By the time Dr Jennifer Hughes, MSF’s TB doctor in Khayelitsha started treating Phumeza in May 2011; nine months had passed since she was on the unsuccessful treatment for drug-sensitive TB in the public sector. Dr Hughes says Phumeza’s story illustrates the two biggest obstacles to treating drug resistant TB effectively: the lack of diagnostic tools to detect XDR-TB earlier, and the limited range of drugs to treat it. Phumeza Tisile, 23 years, takes her last tablets for XDR-TB at Lizo Nobanda TB Care Centre, Khayelitsha, South Africa on August 16, 2013. 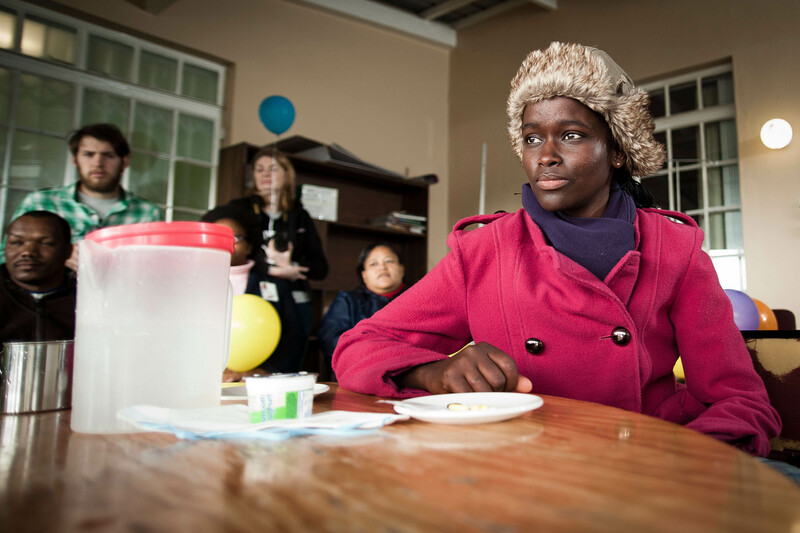 During her two year treatment for XDR-TB, Phumeza took over 20,000 pills and had over 200 injections. For patients trying to beat drug-resistant forms of TB two years of treatment is a gruelling and painful affair. “I had to take at least three medications, more than 20 pills daily, supplements and injections. It is just too much. Many other patients will agree,” says Phumeza, who started referring to her pills as ‘little bastards’ because their side effects made her feel so awful. One of the drugs that Dr Hughes attributes to Phumeza’s cure is a high-strength antibiotic called linezolid, which Phumeza received as part of MSF’s 'strengthened regimen' programme in Khayelitsha. The programme provides XDR-TB patients with individually tailored combinations of new more effective available drugs to improve on the current standard regimen for XDR-TB. While MSF data has shown promising results in using linezolid as part of an XDR-TB regimen, the drug is not widely available as a TB medicine in South Africa for two reasons: it is extremely costly because it is under patent; and the available product is not registered as a DR-TB treatment in South Africa, making it difficult to access through public TB treatment facilities. Pharmaceutical company Pfizer is the sole supplier of linezolid in South Africa because it holds multiple patents on the drug. At the prices Pfizer charges, a two-year-long course of treatment for a DR-TB patient like Phumeza, costs over EUR 35,862 / ZAR 493,000 per patient when purchased through the private sector. 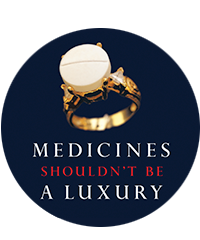 More affordable and quality-assured generic versions of linezolid are available in other parts of the world, but despite of MSF’s calls for action, the Department of Health has not yet tried using available legal flexibilities under international trade agreements to overcome patent barriers to access less expensive linezolid. Phumeza Tisile, 23 years, reflects on her cure from XDR-TB at Lizo Nobanda TB Care Centre, Khayelitsha, South Africa. During her two-year journey, Phumeza blogged on MSF’s TB+ME blog about the daily frustrations and numerous setbacks that she faced along the way. “The support from people who followed my blog kept me going. They read my blog, they kept praying for me, encouraging me with motivating comments. That kept me hopeful that I’d be free from XDR,” Phumeza says. Phumeza was one of the DR-TB patients who created the TB Manifesto calling for urgent change in the diagnosis process and treatment of TB. Read their Manifesto and share it!